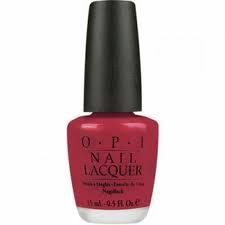 OPI Nail Polish, French Bordeaux, NLE21, .50 fl. oz. Warm red nail color with subtle brown undertones and magenta shimmer.